The Furry Meter is easy to activate with cereal commercial mascots, or saturday morning cartoons. This may be a little more subliminal, but add pet food advertising. 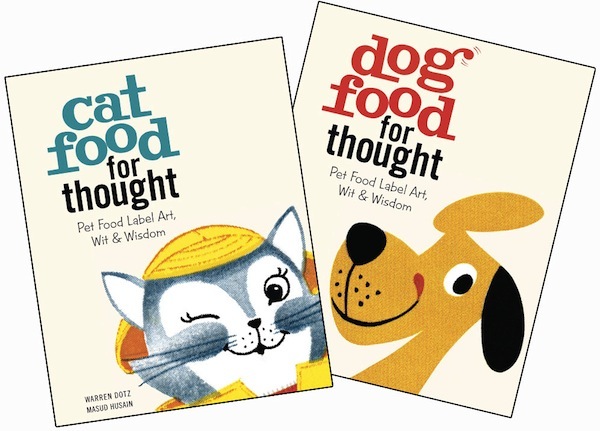 Read about it in Cartoon Kittens and Big-Eyed Puppies: How We Bought Into Processed Pet Food. In the 1950s and beginning of the ’60s, the designers working in the lithography shops that produced can labels continued the visual traditions established on fruit- and vegetable-crate labels, often depicting realistic-looking cats and dogs. Artists at ad agencies developed the campaigns for pet food packaged in boxes and bags. Eventually, both began to be influenced by the culture of the mid-20th century, from comic books, to Walt Disney, to television, especially Saturday-morning cartoons, which were sponsored, in no small part, by breakfast-cereal brands. For psychology, they say shapes of pet food (bones, fish, etc.) appeal to pet owners because cats and dogs don’t usually do their own shopping. (Mine just barks out a list of what to get. I’m obedient like that.) It inspires how to market anything “when the users of a product aren’t the decision makers.” As an $11 billion a year industry, you know they invest a lot of thought into how this works.